The first meeting between European Broadcasting Union (EBU) and Israeli Public Broadcating Corporation (IPBC) took place in Israel earlier this week. – Like every year, at this early stage after the previous Song Contest, the preliminary scope and the next steps are discussed and mutually clarified. EBU is pleased to announce an open and positive dialogue with KAN, and looks forward to meeting the team at the EBU offices in Geneva next month, says EBU to German eurovision.de. The German site eurovision.de has earlier asked Executive Supervisor of the Eurovision Song Contest, Jon Ola Sand, whether there had been a debate in EBU on Israel as host country of Eurovision Song Contest 2019 because of the war-like clashes on the Israeli border with the Palestinian Gaza Strip. – Each year, the competent authorities sign an agreement with the EBU to ensure that a number of important expectations are met, including the safety of all who attend the Eurovision Song Contest. For 20 years, the Eurovision Song Contest has taken place in 17 different countries, including Israel, with some of them facing specific challenges. – The EBU will be discussing with KAN next month. Decisions about the host city, venue and dates for Eurovision Song Contest 2019 will be made in due course. 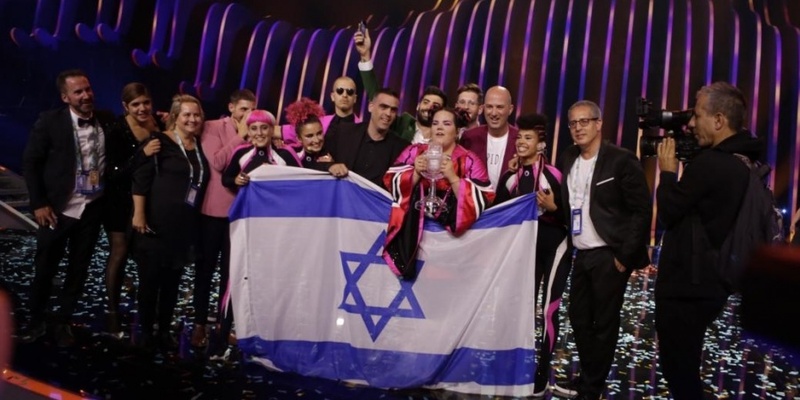 The Israeli newspaper Maariv has reported that EBU has stated that they are concerned that countries will withdraw from next years contest if Jerusalem is selected as the host city of Eurovision 2019, citing a meeting between the IPBC and EBU. EBU is also concerned over the politicization of Eurovision Song Contest 2019 according to Israeli Haaretz. The ministers Miri Regev and Ayoub Kara has been making remarks about hosting and producing the contest in Jerusalem. A source in KAN told Haaretz that EBU "did not care" for the remarks made by the ministers. EBU encouraged fans not to book flights yet, until the dates and location of the contest are officially announced.